The Running Librarian: Have you got the skills to pay the bills? What’s an information professional for? Why should I ask a librarian instead of just searching Google? I can find what I need myself, why should I use the information centre? Why shouldn’t we just put the sources on everyone’s desktop? Surely it’s cheaper to outsource the research service? Nicola then suggests doing the following "Once you have thought of good, succinct, answers to questions like these, seek out opportunities to use them – to other stakeholders, not to fellow librarians! That sounds daunting, but in practice it means developing a new skill set, one around writing (blog posts, articles, comments on others’ posts), speaking (at internal meetings, at seminars, at conferences) and marketing your information services"
For some I know this will be quite difficult even I occassionally struggle with my writing and ofte don't feel I'm contributing as much as I should be but in order to survive as a profession we need to be able to answers these questions and to defend ourselves against the many challenges we face. 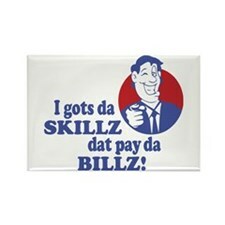 P.S If you recognise the title of the blog post but cant place it "Skills to pay the bills" is a song from the Beastie boys. This entry was posted on Friday, 25 February 2011 at 10:00 and is filed under Personal Development. You can follow any responses to this entry through the RSS 2.0. You can leave a response.